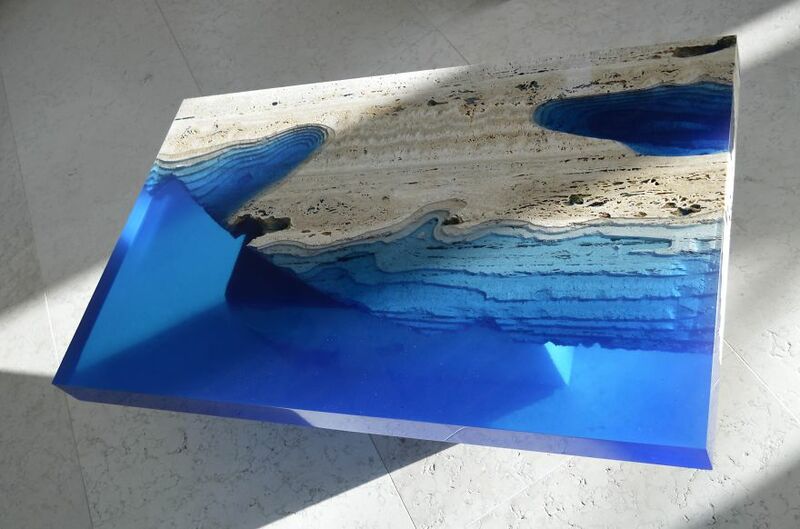 Your eyes aren’t deceiving your, this is not some computer drawing, but rather a real table. 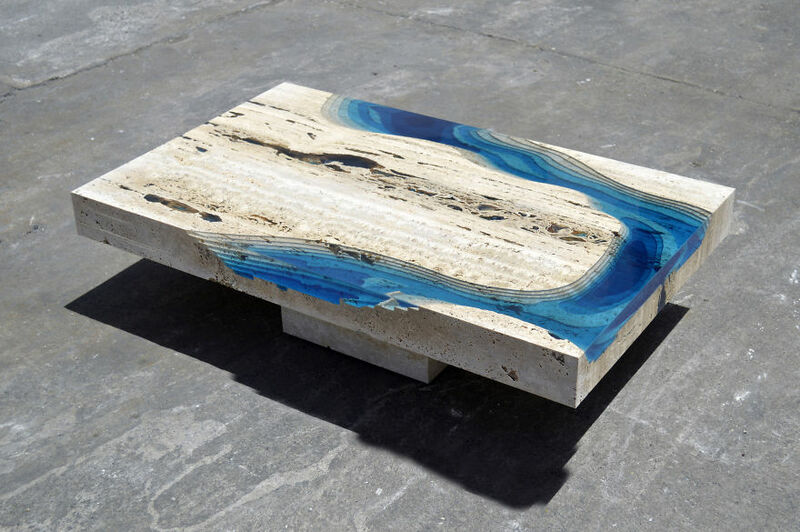 Alexandre Chapelin basically combined resin and travertine marble to produce the water-like illusion you see above. 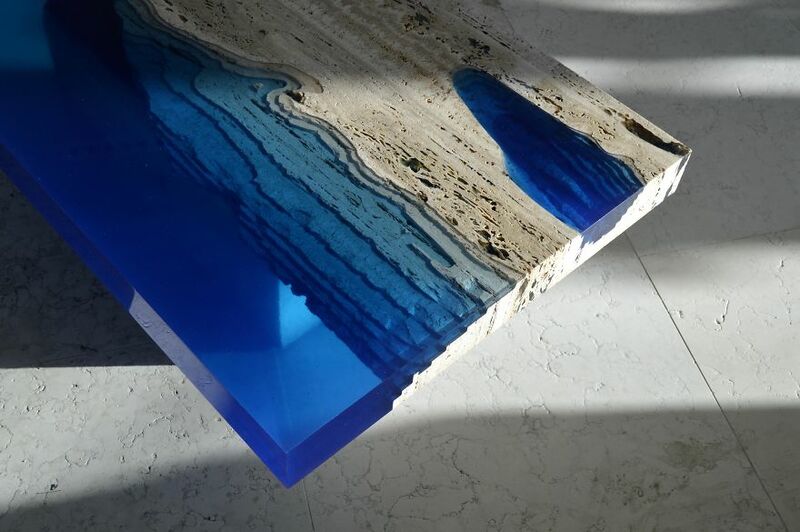 “Now that the table is distinctive, modern and surprising, we add resin materials that suit you the most, making it a single table. And the most interesting thing with this concept is that we can include anything that comes into our mind,” according to Chapelin. Continue reading for more images and information. 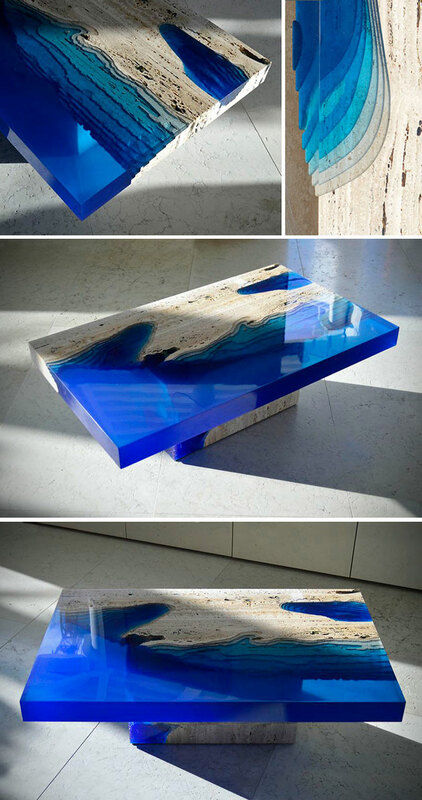 Click here to view more awesome things for your home. 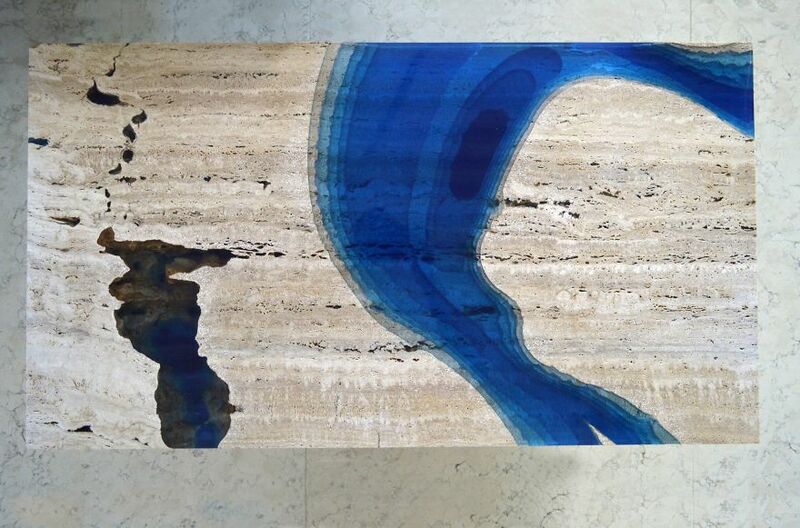 “The concept of La Table is to create unique, artistic, attractive designs that fit to their future owners as much as possible. For that purpose they have to have a soul, a story and something to tell. 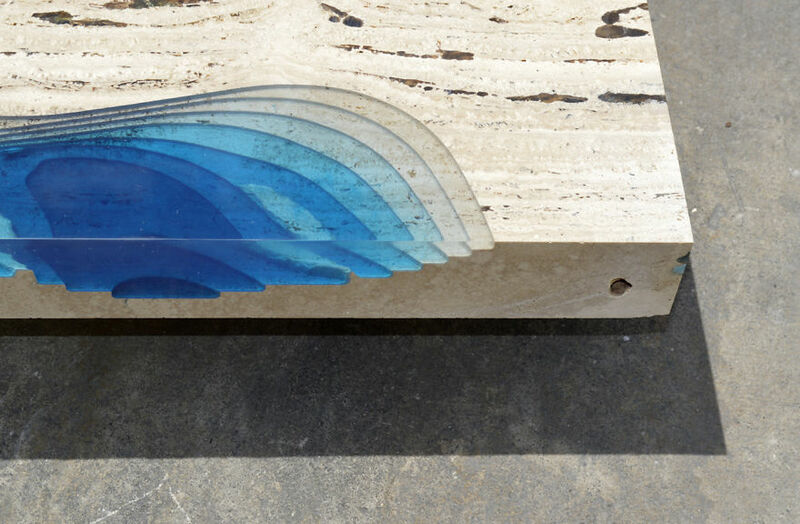 Designs have to be contemporary by its manufacturing technique and, of course, surprising. 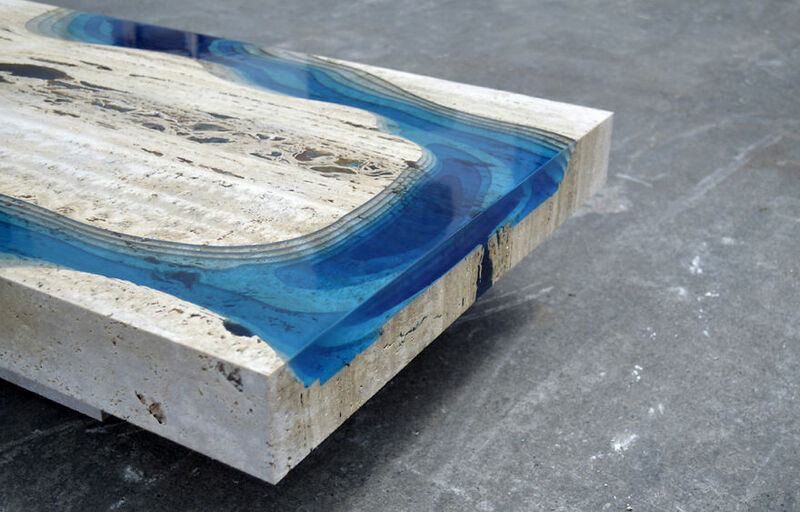 We always include something, for example resin, inside the material whether it is wood, marble, or metal,” said Chapelin.